Court of Appeals Anderson, Russell A., C.J. Took no part, Gildea and Dietzen, JJ. An employer‟s misclassification of employees as exempt from the protections of the Minnesota Fair Labor Standards Act (MFLSA), standing alone, is not a violation of the Act, but the failure to maintain wage and hour records for the employees under Minn. Stat. � 177.30 (2006) is a violation. The MFLSA authorizes district courts to award civil penalties and issue injunctions in civil actions brought by private parties, even when no compensatory damages are awarded. Civil penalties awarded under the MFLSA are payable to the state, not to individual employee-litigants. Attorney fees awards must reflect the extent of the plaintiffs‟ success. ANDERSON, Russell A., Chief Justice. fees awards must reflect the limited degree of success achieved by the plaintiffs. We remand to the district court for recalculation of the civil penalties and attorney fees. The MFLSA establishes minimum wage and overtime compensation standards that apply to all employees who are not specifically exempt from the requirements of the Act. Minn. Stat. �� 177.21-.35 (2006); see Minn. Stat. � 177.23, subd. 7 (defining employees covered by the MFLSA).1 The overall purpose of the MFLSA is to ensure �compensation standards that maintain workers‟ health, efficiency, and general well-being.� Minn. Stat. � 177.22. The Act exempts many categories of work from the requirements of the MFLSA, including the claimed exemption here: individuals employed in a bona fide administrative capacity. Minn. Stat. � 177.23, subd. 7(6). For enforcement purposes, employers are required to �make and keep a record of� the wages and hours worked by each employee subject to the MFLSA. Minn. Stat. � 177.30. The Act can be enforced by the Commissioner of Labor and Industry or through civil actions brought by private parties. Minn. Stat. � 177.27, subds. 7, 8. 1 The areas of minimum wage and overtime are subject to dual regulation by the state and federal governments. Minn. Dep‟t of Labor 8 Indus., Overtime Law, http://www.doli.state.mn.us/overtime.html (last visited May 2, 2008). If the employment falls within the jurisdiction of both state and federal law, the employer must comply with the law that sets the higher standard. Id. According to the Minnesota Department of Labor and Industry, for certain employment, Minnesota‟s overtime laws and regulations set the higher standard. Id. similarly situated claims representatives. The plaintiffs claimed that Farmers violated the MFLSA by classifying them as exempt from the requirements of the Act and failing to pay them overtime compensation. See Minn. Stat. � 177.25, subd. 1 (generally requiring overtime compensation �for employment in excess of 48 hours in a workweek at a rate of at least 1-1/2 times the regular rate at which the employee is employed�).2 Farmers asserted that the claims representatives were employed in a bona fide administrative capacity and therefore were exempt from the requirements of the Act. See Minn. Stat. � 177.23, subd. 7(6); Minn. R. 5200.0200 (2007) (setting forth tests to determine the status of employees under the administrative exemption). 2 The plaintiffs also claimed that Farmers violated the MFLSA by failing to pay them at their regular rate of pay for hours worked in excess of 38-3/4 hours up to 48 hours, but the district court granted summary judgment in favor of Farmers on this claim. 3 The plaintiffs also brought a fifth claim for unjust enrichment but stipulated to the dismissal of this claim during trial. representatives‟ job duties and responsibilities relevant to the exemption for bona fide administrative employees. The parties also presented lay and expert testimony regarding the number of hours the plaintiffs worked and the amount of back pay the plaintiffs were owed. Farmers admitted that it did not keep the records required by the MFLSA for any of the plaintiffs because Farmers considered the claims representatives exempt. 4 These questions asked whether the job duties of the claims representatives were �directly related to management policies or general business operations� and whether in the course of their jobs, the claims representatives �regularly exercise discretion or independent judgment.� For each of these questions, the jury answered �no.� The parties agree that these findings signify that the claims representatives were improperly classified as exempt. Farmers‟ request for entry of judgment on the verdict. Because the special verdict established that Farmers misclassified the claims representatives as �exempt,� the court determined that the plaintiffs were entitled to relief under Minn. Stat. � 177.27, including injunctive relief, civil penalties, and attorney fees. The district court concluded that Farmers �violated numerous sections� of the MFLSA over 5 years by (1) �refusing to classify the Class as employees within the meaning of the Act�; (2) �misclassifying Plaintiffs and the Class as �administrative‟ employees and �exempt‟ from overtime protection�; and (3) �failing to keep any time records at all for the Plaintiffs and the Class.� Based on these findings, the court enjoined Farmers from misclassifying Minnesota claims representatives as exempt and ordered Farmers to �immediately implement procedures to track the time for each day worked� in accordance with Minn. Stat. � 177.30. The court also concluded that �a significant civil penalty should be imposed.� The court ordered Farmers to pay the individual employee-litigants a civil penalty of 0 per person, per pay period worked during the class period. Although there were almost 200 members in the class, only 25 plaintiffs were subject to the district court‟s order because of an injunction in a parallel class action proceeding in federal court.5 The civil penalties totaled 6,000. In addition, the district court awarded over .8 million in attorney fees and costs. 2007). The parties in the federal litigation stipulated to the certification of seven state law classes composed of individuals from seven states, including Minnesota. Id. at 1126. Many class members in the Hennepin County litigation also were participating in the federal litigation. Before the Hennepin County District Court had ruled on the post-trial motions in this case, judgment was entered in the federal court action, and the federal court enjoined the Hennepin County District Court from proceeding as to the claims representatives who also were participating in the federal court case. On appeal, the Ninth Circuit concluded that all the Farmers claims representatives are exempt under the federal FLSA. Id. at 1124. On the claims of the Minnesota class, the Ninth Circuit reversed and remanded to the federal district court for further proceedings. Id. at 1134 (explaining that the record was not sufficiently developed for the court of appeals �to tackle�in the first instance�the nuances of state law�). In addition, the Ninth Circuit instructed the federal district court to vacate the injunction imposed on the Hennepin County District Court. In re Farmers Ins. Exch., 204 F. App‟x. 591, 592 (9th Cir. 2006). 6 The court of appeals also concluded the district court did not err by failing to dismiss the case on res judicata grounds based on the judgment in the federal multidistrict litigation. Milner, 725 N.W.2d at 142-43. We did not grant Farmers‟ petition for review on this issue, and this issue is not before us. We granted review to consider the scope of actionable violations under the MFLSA and the circumstances under which equitable relief and enhanced attorney fees may be awarded in MFLSA actions brought by private parties. We now consider (1) whether misclassification of employees is a violation of the MFLSA and in what circumstances private parties may seek civil penalties and injunctions; (2) whether the district court‟s findings of fact, conclusions of law, and order were proper in light of the special verdict; and (3) whether the district court abused its discretion in awarding attorney fees. This case presents questions of first impression regarding the interpretation and application of the MFLSA. The aim in statutory interpretation �is to give effect to the intention of the legislature in drafting the statute.� Educ. Minn.-Chisholm v. Indep. Sch. Dist. No. 695, 662 N.W.2d 139, 143 (Minn. 2003). We review questions of statutory interpretation de novo. E.g., In re GlaxoSmithKline PLC, 732 N.W.2d 257, 264 (Minn. 2007). Act.� Section 177.23, subd. 7(6), defines an �employee,� as relevant here, as �any individual employed by an employer,� but not including �any individual employed in a bona fide executive, administrative, or professional capacity.� The court of appeals did not directly address this issue. Farmers argues that the district court erred in concluding that Farmers violated Minn. Stat. � 177.23, subd. 7(6), because this �is simply a definition of the term �employee,‟ � not a substantive provision that can be �violated.� According to Farmers, an employer cannot violate the definition of �employee.‟ Farmers advocates that we conclude the MFLSA, like the Federal Fair Labors Standards Act (FLSA) does not make mere classification a violation. See 29 U.S.C. �� 201-19 (2006). Although mere misclassification is not considered a violation under the FLSA,7 the FLSA is not dispositive here because it is structured differently than the MFLSA. 7 See, e.g., Gov‟t Accountability Office, Employee Misclassification: Improved Outreach Could Help Ensure Proper Worker Classification 8, GAO-07-859T (2007) (stating that �misclassification alone is not an FLSA violation�). purpose of the Act, the powers and duties of the Division of Labor Standards, the powers and duties of the Commissioner, and the manner of appealing an administrative rule. See Minn. Stat. � 177.21 (stating that sections 177.21 to 177.35 �may be cited as the �Minnesota Fair Labor Standards Act‟ �); Minn. Stat. � 177.22 (setting forth the purpose of the MFLSA); Minn. Stat. � 177.26 (setting forth the powers and duties of the Division of Labor Standards and Apprenticeship in the Department of Labor and Industry); Minn. Stat. �� 177.27-.28 (setting forth the powers and duties of the Commissioner, including the adoption of administrative rules); Minn. Stat. � 177.29 (specifying the manner of appeal for persons �aggrieved by an administrative rule issued under section 177.28�). 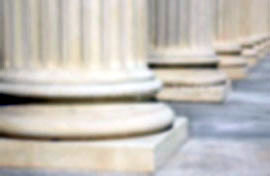 Although every section of the MFLSA, including section 177.23, falls within the literal scope of actionable violations under section 177.27, the legislature clearly did not contemplate that an employer could be civilly liable for misciting the Act, violating the purpose of the Act, or improperly seeking an appeal of an administrative rule. See also Minn. Stat. � 177.32, subd. 1(9) (providing a criminal penalty for employers that �violat[e] any provision of sections 177.21 to 177.35�). minimum wages under section 177.24; the obligation to pay overtime compensation under section 177.25; the obligation to provide rest and meal breaks under sections 177.253 and 177.254; and the obligation to make and keep records under section 177.30. There is no similar obligation with respect to the classification of employees under section 177.23. Section 177.23 is merely a list of definitions and does not impose any affirmative requirement upon which a �violation� may be based. The preface to the definitions in section 177.23 provides generally that �the following terms, for the purposes of sections 177.21 to 177.35, have the meanings given to them in this section.� Minn. Stat. � 177.23, subd. 1. The definition of �employee� at issue here simply provides that an employee does not include any individual employed in a bona fide administrative capacity. Minn. Stat. � 177.23 subd. 7(6). Neither this section nor any other section of the MFLSA mentions the terms �classification� or �misclassification� in the context of the definition of �employee,� and the Act does not specify the actions an employer must take to classify employees properly. It is true that employers are required to make and keep records of each employee‟s name, address, occupation, pay, and hours under section 177.30, but an employer‟s failure to make and keep these records constitutes a violation of section 177.30, not section 177.23. We thus conclude that civil liability does not arise under the definition of �employee� in section 177.23. An employer‟s act of misclassifying an employee, without more, does not constitute a violation of the MFLSA. We next address the plaintiffs‟ entitlement to civil penalties and injunctive relief. Farmers argues that civil penalties and injunctive relief may be imposed only by the Commissioner. Alternatively, Farmers argues that such relief is available in civil actions brought by private parties only when the plaintiffs are first awarded compensatory damages. The plaintiffs argue that civil penalties may be imposed whenever a violation of the Act occurs, regardless of whether the employee is entitled to compensatory damages, and civil penalties are payable to individual litigants, not, as the court of appeals concluded, the state. If an employer is found by the commissioner to have violated a section identified in subdivision 4, or any rule adopted under section 177.28, and the commissioner issues an order to comply, the commissioner shall order the employer to cease and desist from engaging in the violative practice and to take such affirmative steps that in the judgment of the commissioner will effectuate the purposes of the section or rule violated. The commissioner shall order the employer to pay to the aggrieved parties back pay, gratuities, and compensatory damages, less any amount actually paid to the employee by the employer, and for an additional equal amount as liquidated damages. Any employer who is found by the commissioner to have repeatedly or willfully violated a section or sections identified in subdivision 4 shall be subject to a civil penalty of up to ,000 for each violation for each employee. Thus, under the plain language of subdivision 8, the relief provided by subdivision 7 is available to a private party in a civil action and includes civil penalties, as well as injunctive relief. Subdivision 7 specifically provides for civil penalties for repeated or willful violations of the MFLSA. In addition, subdivision 7 authorizes the Commissioner to order employers to cease and desist from engaging in �violative practices� and to take affirmative steps to comply with the Act. The legislature intended that the district court‟s powers mirror those of the Commissioner, and district court injunctions are the functional equivalent of administrative cease-and-desist orders. See Bernard Schwartz, Administrative Law � 2.26 (3d ed. 1991). Accordingly, we conclude that employees may seek injunctive relief and civil penalties in actions brought in district court. We note that this conclusion does not mean that private parties have all the powers of the Commissioner; rather, the statute grants private parties the right to seek the remedies available to the Commissioner under subdivision 7. An employer who pays an employee less than the wages and overtime compensation to which the employee is entitled under sections 177.21 to 177.35 is liable to the employee for the full amount of the wages, gratuities, and overtime compensation, less any amount the employer is able to establish was actually paid to the employee and for an additional equal amount as liquidated damages. In addition, in an action under this subdivision the employee may seek damages and other appropriate relief provided by subdivision 7 and otherwise provided by law. Minn. Stat. � 177.27, subd. 8 (emphasis added). Farmers argues that the words �[i]n addition� in the second sentence indicate that there must be unpaid wages or overtime compensation before an employee may seek �other appropriate relief provided by subdivision 7.� The court of appeals rejected this argument, concluding that �the plain meaning of the �in addition‟ language * * * is not limiting, but rather it is granting.� Milner, 725 N.W.2d at 143. We similarly conclude that the statute is clear and unambiguous, and the plain meaning of the words �in addition� does not limit the circumstances in which an employee can seek the remedies of subdivision 7. Moreover, this conclusion is appropriate considering that an employee may bring a private suit for the violation of any section of the MFLSA, including a failure to maintain records. Minn. Stat. � 177.27, subd. 8. Although such a violation may not result in compensatory damages, other relief, such as civil penalties or injunctions, may be appropriate. The final issue of statutory interpretation we address is determining to whom civil penalties are payable. The plaintiffs argue that the court of appeals erred in concluding that civil penalties are payable to the state, not to individual litigants. Farmers argues that the court of appeals correctly concluded that civil penalties are payable to the state. The MFLSA does not specify to whom civil penalties are to be paid, either when assessed by the Commissioner or by a district court. In the absence of any plain language in the MFLSA dictating to whom civil penalties are payable, we look to other related statutes for guidance. �Statutes should be read as a whole with other statutes that address the same subject.� Harris v. County of Hennepin, 679 N.W.2d 728, 732 (Minn. 2004); see Minn. Stat. � 645.16(5) (2006) (stating that when the words of a statute are not explicit, the intention of the legislature may be ascertained by considering, among other matters, �other laws upon the same or similar subjects�). In addition, we presume that �the legislature intends to favor the public interest as against any private interest.� Minn. Stat. � 645.17 (2006). employee in a private action. See Minn. Stat. �� 181.101, 181.13, 181.171. Thus, together, these acts provide a comprehensive statutory scheme for wages and payment in Minnesota and should be interpreted in light of each other. We decline to look to the federal FLSA, as it is structured differently from the MFLSA. We also decline to look to the Minnesota Human Rights Act, as suggested by the court of appeals, Milner, 725 N.W.2d at 145, because that act is broader than the MFLSA and does not pertain exclusively to employment. See Minn. Stat. �� 363A.01-.41 (2006).8 Under the PWA, penalties are paid to the individual employee, even when the Commissioner collects the money. See, e.g., Minn. Stat. � 181.101 (�Money collected by the commissioner must be paid to the employee concerned.�). The PWA also specifically provides that an employer found to have violated the PWA �is liable to the aggrieved party� for civil penalties. Minn. Stat. � 181.171, subd. 1. 8 The MHRA specifically provides that civil penalties are payable to the state; we note that civil penalties are payable to the state regardless of whether the complaint is issued by the Commissioner of Human Rights and heard as a contested case, Minn. Stat. � 363A.29, subd. 4, or whether the suit is filed in district court by a private party, Minn. Stat. � 363A.33, subd. 6.
repeatedly or willfully violated the MFLSA �shall be subject to a civil penalty�). And the legislature did not specify a different result for civil actions brought by employees. See Id., subd. 8. Therefore, we hold that civil penalties are payable to the state under the MFLSA, regardless of whether the penalties are assessed by the Commissioner or the district court. We turn next to the question of whether the district court erred in applying the MFLSA in this case. Specifically, Farmers contests the district court‟s finding that Farmers violated the recordkeeping provisions of the MFLSA and the district court‟s finding (in the context of awarding civil penalties) that the plaintiffs routinely worked over 48 hours a week. Farmers argues that the district court‟s findings regarding recordkeeping and overtime hours�which along with misclassification supported the imposition of civil penalties totaling 6,000�amount to nullification of the jury‟s verdict of no damages. Inc., we held that the factual findings made by a jury �are binding upon the district court� as it makes its own findings regarding equitable claims. 736 N.W.2d 611, 617 (Minn. 2007). We analyze the district court‟s findings regarding recordkeeping and overtime hours worked (as reflected in the award of civil penalties) in light of these principles. The district court found that Farmers did not maintain the required wage and hour records for the claims representatives and thus concluded that Farmers violated Minn. Stat. � 177.30. Farmers does not dispute the fact of the recordkeeping violation; rather, Farmers disputes whether the plaintiffs pleaded a violation of the recordkeeping provision in their complaint and whether the issue of recordkeeping was raised by the evidence during trial. No questions were submitted to the jury regarding recordkeeping. Provided that the issue of recordkeeping was pleaded or raised by the evidence, the issue was within the district court‟s authority under Minn. R. Civ. P. 49.01(a). Farmers did not collect information on the actual hours worked by the various claims representatives. Indeed, the plaintiffs would have had no need for an expert witness to calculate the number of hours worked had Farmers kept records as required by the MFLSA. We conclude that recordkeeping was raised by both the pleadings and the evidence at trial. Because the issue of recordkeeping was not submitted to the jury on the special verdict form, the court was within its authority pursuant to Minn. R. Civ. P. 49.01(a) to make factual findings regarding the recordkeeping requirements of the MFLSA. Farmers also argues that the district court‟s award of civil penalties was inconsistent with the jury‟s special verdict. The MFLSA states that civil penalties may be awarded for repeated or willful violations of the Act. Minn. Stat. � 177.27, subd. 7. The district court imposed civil penalties in this case based on two violations: (1) Farmers‟ misclassification of the claims representatives as exempt from the MFLSA and (2) Farmers‟ failure to maintain records required by the MFLSA. employees like the plaintiffs here trying to pursue claims for unpaid overtime compensation. When employers do not maintain the required records, it becomes difficult for employees to meet their burden of proof with respect to compensatory damages. We next address the amount of the civil penalty. If an employer is found to have repeatedly or willfully violated the Act, the employer �shall be subject to a civil penalty of up to ,000 for each violation for each employee.� Minn. Stat. � 177.27, subd. 7. The two statutory factors relevant to determining the amount of a civil penalty are �the size of the employer‟s business and the gravity of the violation.� Id. In addressing the size of Farmers‟ business, the district court described Farmers as �a large, national, sophisticated employer� that collected between and billion in premiums annually. In addressing the gravity of the violations, the court based its award, in part, on a finding that the claims representatives worked �very long hours,� routinely in excess of 48 hours per week. The court also found that Farmers �misclassified employees for at least 12,870 pay periods and more than 120,000 work days.� Based on these findings, the court concluded that �a significant civil penalty� was warranted. The district court imposed a civil penalty of 0 per employee, per pay period worked during the class period. hours they worked, to which the jury answered �0.� As a predicate to determining the amount of compensatory damages owed, the jury would necessarily have to consider how many hours, if any, over 48 hours per week the claims representatives worked. Since the jury found that the claims representatives were not entitled to any compensatory damages, the district court‟s finding that the claims representatives routinely worked in excess of 48 hours is inconsistent with the jury‟s special verdict and cannot stand under Onvoy. Thus, although a civil penalty is appropriate in this case, we remand to the district court to reconsider the amount of the civil penalty without using the misclassification violation or the overtime hours worked by the claims representatives as bases for the award. Finally, we consider the attorney fees award. Generally, we review an award of attorney fees for an abuse of discretion. E.g., Gully v. Gully, 599 N.W.2d 814, 825 (Minn. 1999). In any action brought pursuant to subdivision 8, the court shall order an employer who is found to have committed a violation or violations of sections 177.21 to 177.35 to pay to the employee or employees reasonable costs, disbursements, witness fees, and attorney fees. Minn. Stat. � 177.27, subd. 10. Because we conclude that Farmers violated the MFLSA by failing to keep the required pay and time records under Minn. Stat. � 177.30, the plaintiffs are entitled to reasonable attorney fees. The issue here is the reasonableness of the attorney fees award. The district court awarded total attorney fees of ,887,268, using the lodestar method and applying a multiplier of 1.5. The court of appeals affirmed the district court‟s calculation of the lodestar amount but concluded that an enhanced attorney fees award is inappropriate and remanded for an award of the lodestar amount without the multiplier. Milner, 725 N.W.2d at 146-47. Both Farmers and the claims representatives challenge the modified attorney fees award. Farmers argues that (1) the district court did not correctly calculate the lodestar amount because the district court failed to scrutinize the reasonableness of the hours and rates submitted by the plaintiffs‟ attorneys, and (2) the award should be reduced to reflect the limited results obtained. The plaintiffs argue that the court of appeals erred in eliminating the 1.5 multiplier. We conclude that the .8 million attorney fees award does not reflect the plaintiffs‟ limited success on their claims. We reverse and remand for recalculation of the lodestar amount and for redetermination of the attorney fees award without the use of a multiplier. We have approved the use of the lodestar method for determining reasonable attorney fees. See Specialized Tours, Inc. v. Hagen, 392 N.W.2d 520, 542 (Minn. 1986) (characterizing the procedure set forth by the Supreme Court in Hensley v. Eckerhart, 461 U.S. 424 (1983), as �a sensible and fair approach�). The lodestar method �requires the court to determine the number of hours �reasonably expended‟ on the litigation� multiplied by � �a reasonable hourly rate.‟ � Anderson v. Hunter, Keith, Marshall & Co., 417 N.W.2d 619, 628 (Minn. 1988) (quoting Hensley, 461 U.S. at 433). In determining the reasonableness of the hours and the reasonableness of the hourly rates, the court considers �all relevant circumstances.� State v. Paulson, 290 Minn. 371, 373, 188 N.W.2d 424, 426 (1971). 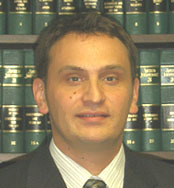 Factors considered in determining reasonableness include �the time and labor required; the nature and difficulty of the responsibility assumed; the amount involved and the results obtained; the fees customarily charged for similar legal services; the experience, reputation, and ability of counsel; and the fee arrangement existing between counsel and the client.� Id. at 373, 188 N.W.2d at 426; see also Hensley, 461 U.S. at 430 n.3 (listing additional factors relevant to the determination of reasonable attorney fees).9 When the reasonableness of the requested attorney fees is challenged, the district court must �provide a �concise but clear explanation of its reasons for the fee award.‟ � Anderson, 417 N.W.2d at 629-30 (quoting Hensley, 461 U.S. at 437). 9 The federal courts consider the following factors in determining the reasonableness of attorney fee awards: (1) the time and labor required; (2) the novelty and difficulty of the questions; (3) the skill requisite to perform the legal service properly; (4) the preclusion of employment by the attorney due to acceptance of the case; (5) the customary fee; (6) whether the fee is fixed or contingent; (7) time limitations imposed by the client or the circumstances; (8) the amount involved and the results obtained; (9) the experience, reputation, and ability of the attorneys; (10) the �undesirability� of the case; (11) the nature and length of the professional relationship with the client; and (12) awards in similar cases. Hensley, 461 U.S. at 430 n.3. But see City of Burlington v. Dague, 505 U.S. 557, 567 (1992) (holding that an enhancement for contingency is not permitted under federal fee-shifting statutes). Plaintiffs‟ attorneys are reasonable.� Applying the Paulson factors, the district court found that (1) �the time and labor necessary to prosecute this class action was substantial and warranted�; (2) the case �was a significant and complex one�; (3) �the Plaintiffs‟ attorneys secured substantial benefits not only for the Class, but also for all future [Farmers] claims representatives� in Minnesota; and (4) the hourly rates normally charged by the plaintiffs‟ attorneys and paralegals are reasonable and are �comparable to those charged by equally competent attorneys and paralegals in their respective communities.� The district court did not make specific findings on the experience, reputation, and ability of counsel; or the fee arrangement between counsel and the plaintiffs. give any reason for reducing the hours by 10 percent and did not give a clear explanation as to why those reduced hours are reasonable. 11 We note that the Supreme Court‟s discussion in Hensley of the �results obtained� factor took place in the context of deciding whether a modification of the lodestar amount was warranted. See 461 U.S. at 434-37. In a subsequent case, however, the Court noted that the �results obtained� factor generally is �subsumed within other factors used to calculate a reasonable fee� and �normally should not provide an independent basis for increasing the fee award.� Blum v. Stenson, 465 U.S. 886, 900 (1984). We take that approach here and consider the �results obtained� factor in our discussion of the proper determination of the lodestar amount, not in determining whether modification of the lodestar amount is warranted. MFLSA and Farmers was assessed a large civil penalty and is now paying its claims representatives in Minnesota overtime pay. Although these achievements did not result in any monetary relief for the plaintiffs, they are properly considered in assessing the plaintiffs‟ success in this litigation. For example, several federal circuits measure success not only by looking at the difference between the judgment recovered and the recovery sought, but also by looking at the significance of the legal issues on which the plaintiff prevailed and the public purpose served by the litigation. See, e.g., Brandau v. Kansas, 168 F.3d 1179, 1181 (10th Cir. 1999) (citing Farrar v. Hobby, 506 U.S. 103, 121-22 (O‟Connor, J., concurring)); Scott v. Sunrise Healthcare Corp., No. 95 C 1277, 1999 WL 787624, at *2 (N.D. Ill. Sept. 23, 1999) (recognizing that FLSA cases �are affected with the public interest, and the value of such a suit to the public may exceed its limited monetary value� to the plaintiffs). The achievement of some success, however, does not necessarily support a significant attorney fees award. The attorney fees award must reflect �the degree of success obtained.� Hensley, 461 U.S. at 436 (emphasis added). �A reduced fee award is appropriate if the relief, however significant, is limited in comparison to the scope of the litigation as a whole.� Id. at 440. The court should focus on whether the hours expended are reasonable in relation to the overall relief obtained. See id. at 435-36; see also Farrar, 506 U.S. at 114 (stating that when recovery of private damages is the purpose of the litigation, �a district court, in fixing fees, is obligated to give primary consideration to the amount of damages awarded as compared to the amount sought� (internal quotation marks omitted)). Applying these standards here, we conclude that while the plaintiffs are entitled to reasonable attorney fees for proving that Farmers violated the MFLSA by failing to keep the required records, the plaintiffs‟ failure to recover any compensatory damages on their primary claim must be taken into account in determining the reasonableness of the hours expended on this litigation. At trial, the plaintiffs sought millions of dollars in damages for unpaid overtime compensation, but the jury found they were entitled to nothing. The claim for unpaid overtime compensation was the central issue at trial. Because it is not clear that the district court gave any consideration to the plaintiffs‟ failure to recover compensatory damages in determining the hours reasonably expended on the litigation, we conclude that the district court‟s lodestar calculation, resulting in an award of over million in attorney fees (without the enhancement), is excessive. See Wales v. Jack M. Berry, Inc., 192 F. Supp. 2d 1313, 1326-27 (M.D. Fla. 2001) (recognizing in a case involving �limited monetary recovery� that although �the FLSA is an important piece of social legislation,� the public benefit cannot support an attorney fees award of more than million); cf. Saizan v. Delta Concrete Prods. Co., 448 F.3d 795, 801 (5th Cir. 2006) (affirming a reduction in attorney fees in a FLSA action, commenting that vindication �is not as weighty of a factor as monetary success�). limit the attorney fee award to an amount that is �reasonable in relation to the results obtained.� Hensley, 461 U.S at 440. The district court may �identify specific hours that should be eliminated� or the district court �may simply reduce the award to account for the limited success.� Id. at 436-37. Because of the remand, we also address the district court‟s decision to apply a 1.5 multiplier to the lodestar amount. There is a strong presumption that the lodestar amount represents a reasonable fee. Pennsylvania v. Del. Valley Citizens� Council for Clean Air, 478 U.S. 546, 565 (1986). Nonetheless, in cases where the lodestar amount is �either unreasonably low or unreasonably high,� the court may use a multiplier to adjust the lodestar amount upward or downward. Blum v. Stenson, 465 U.S. 886, 897 (1984). We stress, however, that an upward adjustment of the lodestar amount is warranted only in rare cases of � �exceptional success.‟ � Id. (quoting Hensley, 461 U.S. at 435). Further, any upward adjustment must be supported by specific evidence in the record and detailed findings by the district court. Del. Valley, 478 U.S. at 565; see also Blum, 465 U.S. at 898 (stating that the fee applicant bears the burden of showing that an upward adjustment �is necessary to the determination of a reasonable fee� (emphasis added)). the decision, at least in part, on its assessment of the plaintiffs‟ success, as well as the complexity and duration of the litigation. The district court‟s findings do not support an upward adjustment of the lodestar amount. As we noted in our discussion of the lodestar amount, we believe that the district court overstated the significance of the results obtained by the plaintiffs, given that the jury completely rejected the plaintiffs‟ claim for millions of dollars in unpaid overtime compensation and the plaintiffs recovered no back pay or other monetary relief. Moreover, because the results obtained, the complexity of the litigation, and the duration of the litigation should be fully reflected in the lodestar amount, these factors should not be used again in determining whether a multiplier is warranted. See Blum, 465 U.S. at 900; see also supra n.11. Based on our review of the record, we conclude that this is not the rare or exceptional case that justifies the use of a multiplier. Therefore, on remand, the district court should base the attorney fees award on the lodestar amount alone, without the use of a multiplier. GILDEA, J., took no part in the consideration or decision of this case. DIETZEN, J., took no part in the consideration or decision of this case.